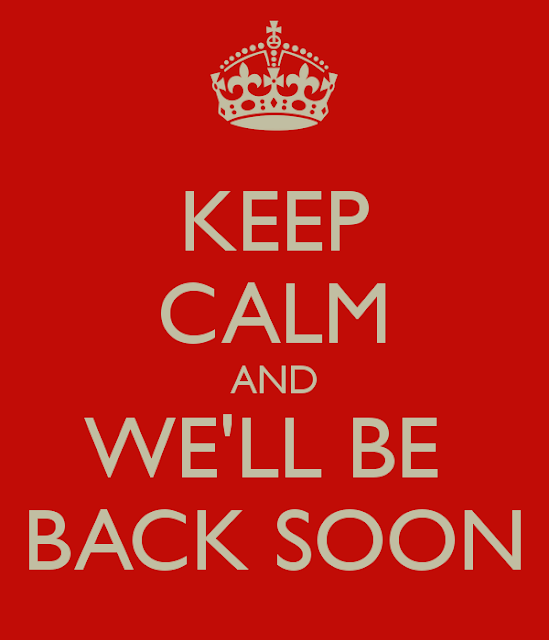 Apologies for the delay in posting new reviews. This is simply due to illness and I will be back in full swing at some stage this week. I remain contactable in all the usual ways, including Carrier Pigeon and via Bow And Arrow. Reviews are way behind because I'm still under the weather, but I'm over the moon with this week's show. I'm also apparently mixing metaphors like a journalist for The Express. Number 35 is so good that I've made a crib sheet to celebrate it. Number 5 - I'm Hearing You. 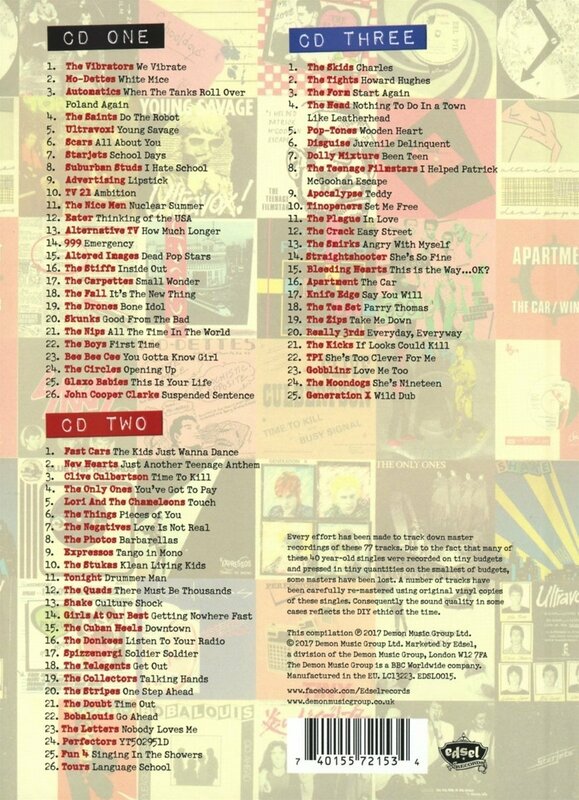 17 Top Tunes including two archive songs. Those two songs are an underated gem from UK New Wave and my favourite Joe Pernice song. The rest is largely new and out the wrapper. The show closes with The Foreign Films and the pop masterpiece that is Fall Of The Summer Heart. Proving IDHAS is the home of the three minute pop song, the closer is almost 13 minutes of wonder. Apparently Guitar Bands are dead according to Matt Twiddly, I'd worry more about the godawful compressed production Matt. The show is broadcast on KOR Radio at 8pm UK Time on Fridays, repeated at the same time on Saturdays. Due to increased popularity, a Monday Night Repeat has been added at 8pm. Also, a reminder that the show is archived the following week on Mixcloud. You can listen to the first thirty four shows and two Xmas Specials here. 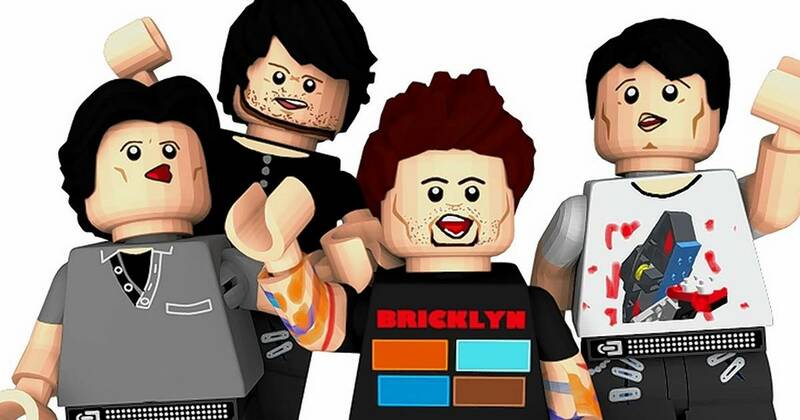 Number 34 in our pop and rocktastic world. A heady mix of 17 toe tapping tunes, including two from the archive. Also, a reminder that the show is archived the following week on Mixcloud. You can listen to the first thirty three shows and two Xmas Specials here. I think most know that I'm not a Tribute album lover, they have to be really really good to perk my interest and this more than does that. 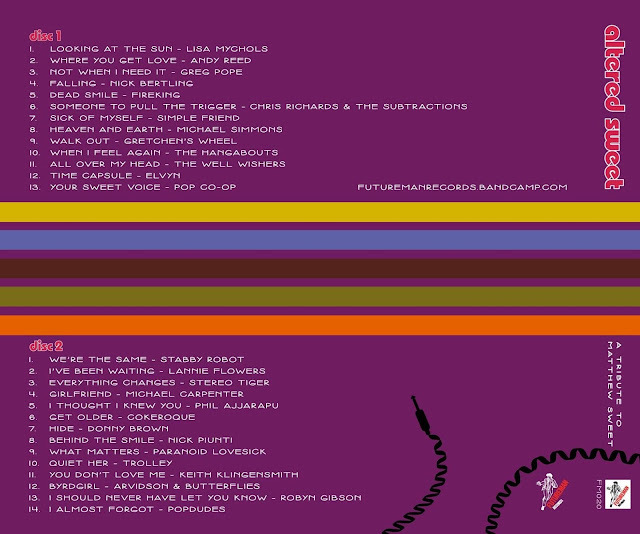 I'm a massive Matthew Sweet fan, a big admirer of what Keith does with the Futureman label and the line up here is Power Pop Heaven. So that's three reasons to buy eh? Matthew Sweet, himself, may have been in indifferent form lately, but here you get an inkling of how strong a songwriter he is. Although not always looked at as Power Pop, he's a bit noisier at times, these songs naturally lend themselves to the field. Great guitar breaks and he's one of the best chorus writers around. I used to say that the ideal match would be Jason Falkner and Sweet, the former writing the verses, the latter the choruses. You do realise here that Sweet's body of work easily allows 27 songs without any boredom creeping in. There's a lot to be said for a third disc opportunity for the missing songs. So where do I start? This is really hard because the line up is like a Roll Call for the I Don't Hear A Single Blog. I've already trailed a couple of songs on the different week's Radio Shows, namely Nick Piunti and Michael Simmons, so I'll not include those as embedded songs here. There are some surprises in who does what. I expected Greg Pope to launch into something like Come To California, instead he goes for an inspired version of the understated Not When I Need It. Likewise, Andy Reed is usually understated, here he rocks into a superb, Where You Get Love. Then there are the different takes on songs. Simple Friend do a great acoustic jangly Sick Of Myself, very different to the caustic original. Elvyn's Time Capsule is Losing My Religion like. Popdudes do a wonderful Country West Coast sounding I Almost Forgot. There are the female artists who never fail to connect. Lisa Mychols a great Bass Guitar driven Susanna Hoffs like, Looking At The Sun. Gretchen's Wheel cover Walk Out, showcasing that Lindsay voice which sounds Chrissie McVie like here. Also here are the more faithful versions. The Well Wishers riff out on All Over My Head, ditto Nick Bertling on a splendidly noisy, Falling. 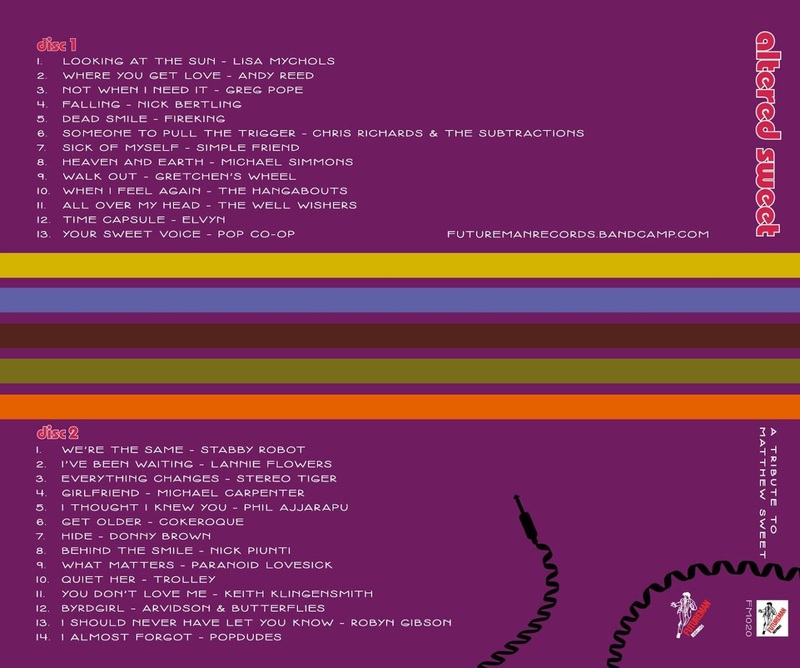 My favourite Matthew Sweet song is Someone To Pull The Trigger and Chris Richards And The Subtractions offer up a storming cover, an absolute joy. If I could mention everyone I would, these are all artists beloved to IDHAS. I feel guilty for not, but every one of these 27 songs is worth hearing. 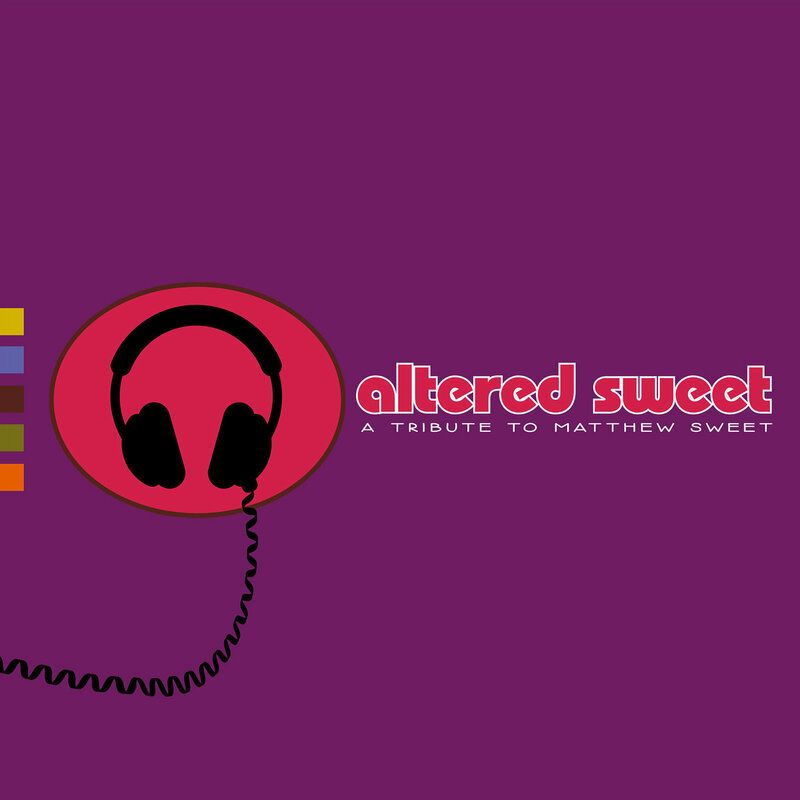 Altered Sweet is a cracking listen. It reminds me of why Power Pop is so good. It's the quality of the artists, the songs and the pure feel good factor. Here's hoping that people go further and delve into the songs from these artists and discover the joy that I get. Hopefully, people will also discover Matthew Sweet's Back Catalogue. It isn't just about Girlfriend. Finally, artists don't always like the Power Pop Tag and outsiders don't get what it is. Concerning the latter, each should be given this album and they will realise what they are missing. You can listen to and buy the album here and it's a bargain price. So we've all been inundated with this nonsense over the past few days. If it's so true, then why have I seen it about 500 Times. However, there is something about the new Facebook Feed that is important if you want to support the artists you follow or discover. I've always been a bit sniffy about Facebook, but it has to be said that I have met people that I would never have come across. The days of searching for a band on Google first are becoming a thing of the past. More and more, people get their information from Social Media. There's no doubt that when I put an Album Review on Facebook that it drives people to the post and they listen, buy or investigate more. That's what IDHAS is about and long may it continue. 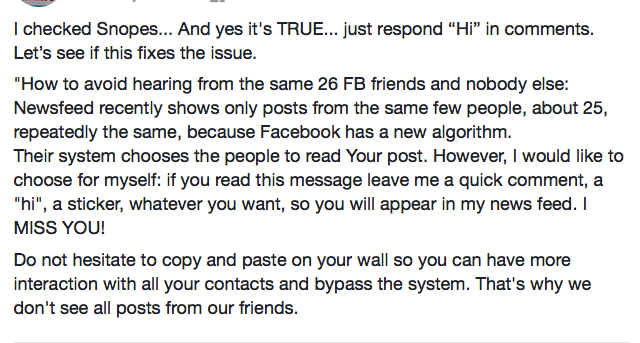 I've often been asked why I don't set up a dedicated Facebook page to here. I did test that, but all Facebook wanted was money to promote it, so I felt a group page and my own would be enough. This is where I get to the point. Facebook's changes that now prioritise individual friends' posts rather than companies may make people think that there timeline will be a much happier place. To some degree it will be, but caught in the middle of this are musicians trying to let you know what they are up to and they are caught in the headlights. Facebook will prioritise individual account names. If you are a company or more importantly, a musician operating with a Facebook artist page, you will need to pay to promote your posts or people will not see them. I get most responses from my personal page. It must be a right pain in the arse for people who don't like music seeing the activity. But when I "like" a band on Facebook, I find others do because they get notified that I have. The same happens on Twitter and again it may irritate some, but it is for the general good of music. I've always been a bit sniffy about Facebook Likes. I saw them as a vanity thing and we know the number of friends does not necessarily equate to the popularity of a person, far from it. It just means you can market yourself. I also get annoyed by Internet DJs and Bloggers who get cranky about people not following them back. On another point, I get more irritated by supposed tastemakers, a term I hate, who say post links to the songs in the comments. If you knew what you were doing, you'd know, you wouldn't need to be told. But it has never been more important for you to like a musician's post from your personal account. They know they are reaching people, know they are loved, gives them encouragement in a difficult business and most importantly, others see the post. As for me, I'm not particularly bothered by likes, it's about the message not the messenger. More like normality this week, Reviews and great new releases. IDHAS Radio Reaches the third of a century mark with 16 great songs for your delectation. Wait for news this month on a second radio show with chatting, more archive and stuff and nonsense. Also, a reminder that the show is archived the following week on Mixcloud. You can listen to the first thirty two shows and two Xmas Specials here. Caleb Karvountzis is becoming something of a spokesman for the Slacker Generation. 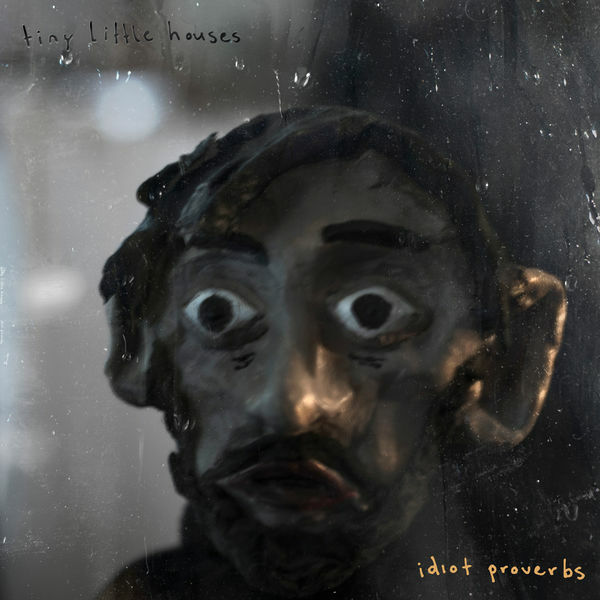 Tiny Little Houses's debut album, Idiot Proverbs, builds on those previous EP's to ram home how pissed off this lost generation is with all the false promises. The only surprise here for the first time listener here is that this quartet are from Melbourne, not Seattle or Philadelphia. Caleb's vocal whine reminds me a lot of another of my favourite albums, Sean MacDonald's Parasites And Kings. At times there's a stream of consciousness to the lyrics, particularly on the likes of Nowhere, SA. 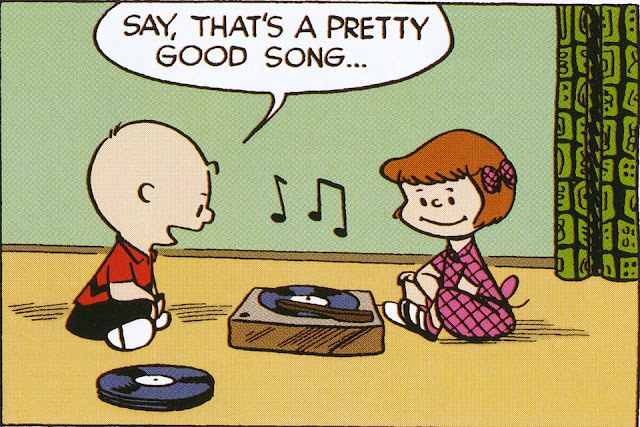 Influences are all there, some may hear Weezer, others The Pixies. Short Hair has essences of Grunge until that Weezer Chorus. The lyrics may be down, but there's a cleverness to them that is similar in the 90's Art Rock bands, even the bright Popsters like The Sugarplastic. The Fi is definitely Lo and the sentiments may not ring with all who see this crowd as happy to spend more time with a VR Headset On than on the street. However this doesn't mean Tiny Little Houses can't play, because they can and some. This is a corking slice of ache, a cracking little listen that has me itching to hear what comes next. I love Idiot Proverbs. For those who are getting overloaded with the Jangle Pop coverage around at present, this is different and certainly a fulfilling listen. You can buy the album everywhere. To those who state that Liverpool and Manchester have lost their heart musically, everyone wants to be The Beatles or The Stone Roses, well you've never heard The Ragamuffins. The long awaited Cause Of Causes album is out now and it is everything it promised to be. The single, Oxygen, lit up last year and that's here surrounded by songs that are very different. The socially adept lyrics of David Jaggs are long admired and they are in abundance here, particularly on the heartfelt opener, I Won't Weep, so good that it gets a reprise. But it's not all about the state of the UK. There's still a lot of lyrics crammed in to songs, but whisper it softly, Jaggs has wrote a love song and it's a cracker. No soppiness here, Line Up The Stars is a beautifully arranged moody masterpiece, almost film soundtrack like with a weeping Cinema Noir like instrumental break. There are other surprising directions too. Run With Us is classic Ultravox, Komische Stadt is almost Krautrock, Put On A Brave Face reminds me of a moody version of The Motors. Black Desert is all driving drums, in fact the drum sound on the album is superb. But don't think that the band have left behind their past, because there is plenty here to remind you of that. Something Sinister may start slowly, but it soon breaks out into Wylie Wah territory. The Last Rites is a keyboard driven cross between Dexys and Deacon Blue, desperately trying to break out into Northern Soul. Drawn to The City is a Jazz shuffle that breaks out into a Harlem Shuffle. But away from that killer Oxygen single, the stand out is the title track. It's an epic 3 minutes 16 seconds, a slightly shouty Jaggs vocal works beautifully to the thumping drums and tinkling piano. It's a big year for these parts with albums from this lot and The Mono LP's. The Ragamuffins have past their test. David Jaggs just charms everyone in his orbit with his enthusiasm, he's even become a honorary Californian with the Big Stir crowd. 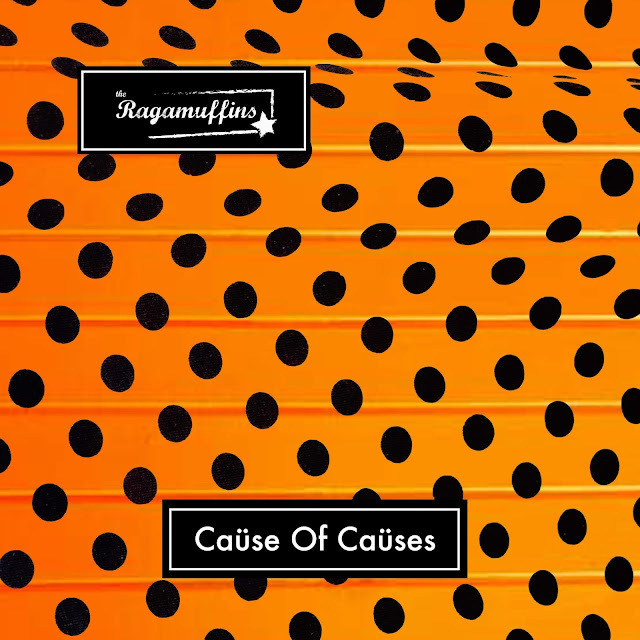 Cause of Causes is exemplary. It shows how you can take chances and still produce a coherent exceptional album. It's only February, but this is already up there as a challenger to top the 2018 list. You can listen to and buy the album here. I keep blabbing on about the quality of Pop Rock coming from Scandinavia, shall we call it Scandipop, errrrrrrrr no. Daisy are from Turku in Finland and this, their fourth album, may very well be their best yet. This is excellent laid back Pop Rock, beautifully played without fuss or the need to shout. Unlike of the Power Pop and Guitar that comes out of the region, Daisy specialise in the sort of Pop Rock that lit up the 70's. 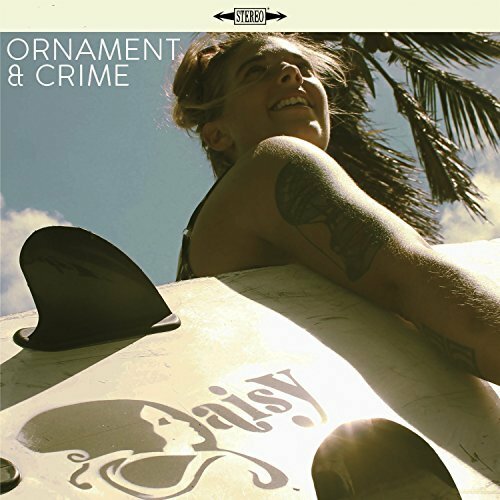 Ornament and Crime is beautifully played and arranged, the guitar solos are great, but are only played when necessary. Two Of Us is very US West Coast, but the majority of the album is very much in UK Territory. Think Pilot, Jigsaw, Trickster, John Miles or a less bombastic City Boy or a bigger arranged Liverpool Express. I played Little Love a few Radio Shows ago and the reaction was great. Well those that like that will love the album. It's a great laidback Summer gem and deserves it's place in your collection, because so few are doing this type of stuff now and even less, so well. You can buy the album at the likes of Amazon here. It's also available on the likes of Apple and Spotify. 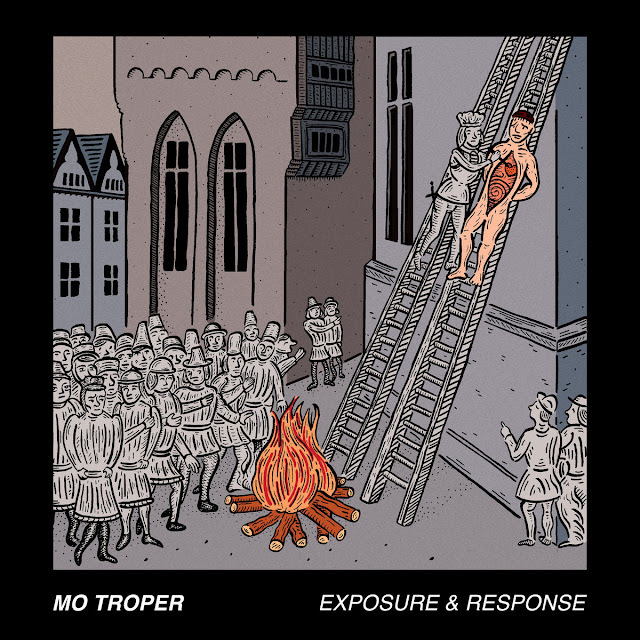 I reviewed Mo Troper's debut solo album, Beloved, in Late 2016 and all it's lo-fi Glory here. In the review, I hoped that he would reach for the stars. Well with Exposure And Response he has and the results are extraordinarily good. All the hooks are there, every song is a joy, but the arrangements are the step up. This is Power Pop Heaven. Across it's 15 songs there is a mixture of the short and the long. The short are generally unexpected and very different to the Pop that surrounds them. I've seen Brian Wilson comparisons mentioned by reviewers, I don't see them at all to be honest. this in Mike Viola Pop Rock Territory. The bright string and brass arrangements only enhance that Viola feel, the whole thing is a joyful listen. There's a real social commentary in the lyrics, but I suspect many will not go that deep, the hooks will be what grabs them. The hook is most prevalent in Freebin, a simple enough love song with jangling hooks shooting out of it's pores. Dictator Out Of Work is equally great, especially it's almost Lounge like Brass and Posies like twang. Big School is the sort of song that Weezer used to do well, Tow Truck too. although there are hints of the likes of The Sugarplastic there too. Your Brand is so cynical, but done in such a sweet way that it's hard for even the Marketing Gurus to get irritated. 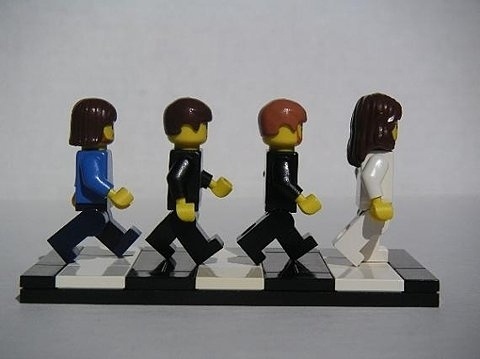 It's a beautifully arranged stomp. Maybe the best song on the album. But it's hard to choose. 15 songs in 30 minutes that just race by. Beloved may have been lo-fi, this is Hi-Fi with a capital H. It's great to hear string and Brass arrangements in such melodic upbeat songs. You can listen to and buy the album here. You should! 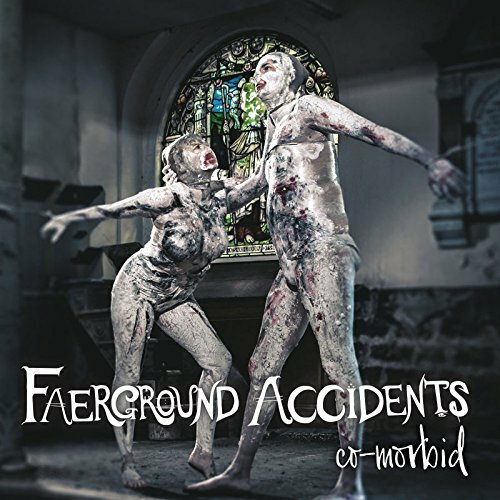 Quirky would certainly be an understated description of Faerground Accidents, but it's a start. I'm forever banging on about how the UK is drifting way behind the rest of the world in writing Intelligent Pop Rock. As I catch up with reviews this week, you will see that it isb't the case at all, but you have to look harder. Based in Sheffield, the band have fashioned up a real Fuzz of an album, the only comparison from that City is maybe Pulp. Certainly there's a real edge here, at times reminiscent of Brett Anderson In Bowie mode, but at other times there's a nod to the artier end of Brit Pop, think Mansun. Released on the Louder Than War label, John Robb has been a long time supporter and you can hear why. There's a real Indie feel to the album, that's Indie in the inventive self created way, not the term that currently describes any younger bands that aren't on a major and sound more like Nickelback. The hooks here are a plenty and the Glam fights to get out. You are though reminded of early Jarvis Cocker with the kitchen sink feel, making the banal seem interesting. My Former Baby could be Buzzcocks or Supergrass, yet Please Stay is a brooding majestical song. Into The Wild is Bowie doing Brel backed by Cardiacs, it really is that good. Claustrophobic is anthemic. At times, it as a Billy Duffy sound on Lead Guitar, particularly on one of the two stand out singles. She Makes Me Want To Die. The other being the opener, We Hate The Same Things which nods at Morrissey. Co-Morbid is a splendid affair. It's wonderfully sleezy. People will get carried away with Bowie comparisons, but there's far more here than that and I can't think of many who would make this album currently. You can buy it here and everywhere. As you'd expect from someone in Los Angeles, Blaine Campbell's latest album, Blue Mind, has a real California Pop feel to it. It's very much in the Beach Boys territory of gentle laid back vocal style with big join in harmonic choruses. Hey Sunshine is almost like Ian Broudie backed by The Wondermints, all harmony to a 60's song structure. Awake gets a bit Folky and into McCartney land, a splendid little acoustic gem. When Blue Mind strays into Power Pop Territory, it does it well. Keeping Your Distance is a corking little pop song, all moody and all the better for it. It's the stand out song on a really good album. The Beach Boy reminders ring loud, but The Explorers Club is the comparison that I keep getting back to. 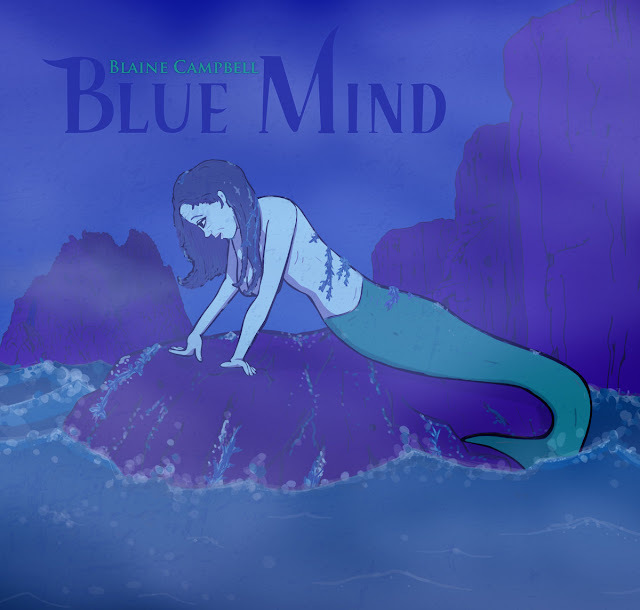 Blue Mind is a really optimistic, reflective Summer album. Well worth your pennies. You can listen to and buy the album here. At 7 Dollars it is a snip. I think you know that I'm not really a compilation listener. Whenever I see anything covering Punk, New Wave or Power Pop, the compilations have a mix of the obvious and the "why the hell is that on there, it's not from that period / genre?" But this is really great. If IDHAS had been around at the time, it could very well feature the majority of these artists. I've always looked at Gary Crowley as Radio's version of Paul Whitehouse's "Int Milk Brilliant" character, but fair play to him, he's always supported those that have suffered from underwhelming air play and generally seems a likeable guy. The involvement of Jim Lahat would also certainly seem to enhance the choices. 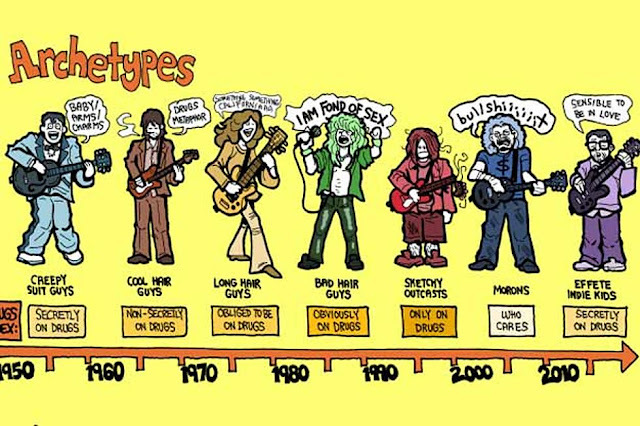 The period is a bit stretched, 77 - 79 or 80 may have been suited as Post Punk wades in, which was a very different scene. 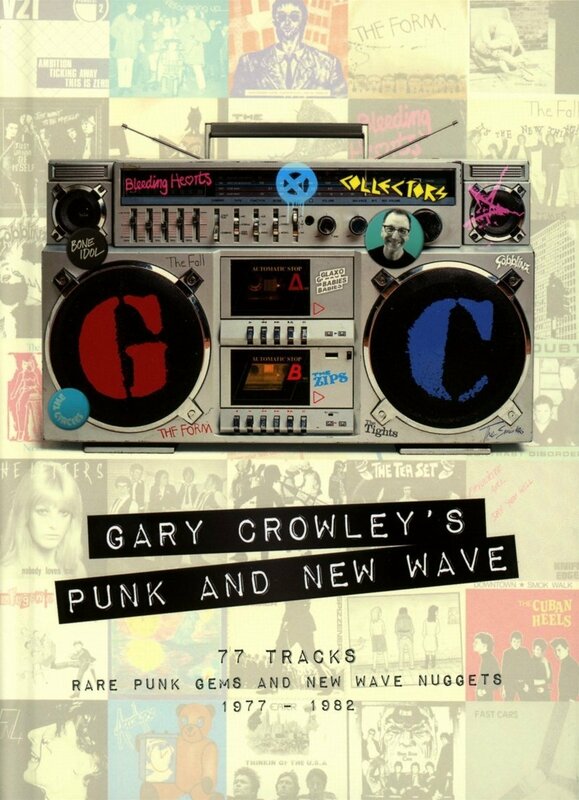 The compilation is much more New Wave than Punk, but there's no harm in that and at £20, the bang for bucks is high. It is lovely to see the likes of TV21, Fast Cars, The Stiffs, Teenage Film Stars and The Boys here. So to the more obvious, such as John Cooper Clarke, The Only Ones, The Skids, The Saints and The Vibrators. It is fairly obvious that the set was put together with loving care, rather than a dash for cash and it's a fine, if uneven listen. If you were there, you'll love it, if you like the same sort of sounds now, the same. It would be lovely to think that da kids will search it out and listen to what produced the now. You can buy the compilation at Amazon and everywhere. The reviews return on IDHAS tomorrow and how far behind I am is shown by the quality of this week's I Don't Hear A Single Radio Show Again there was a long initial long list, which means there will be plenty to choose from next week. No Archive songs this week. The playlist does seem a bit more mellow than of late, perhaps it's my mood. But fear not, there are still crashing guitars aplenty. Also, a reminder that the show is archived the following week on Mixcloud. You can listen to the first thirty one shows and two Xmas Specials here. Essentially a Music Blog that celebrates the new and the neglected. I Don't Hear A Single's Essential Listen has returned with Number 55. The show is archived here. Please note the Twitter Name change to @hearasingle.